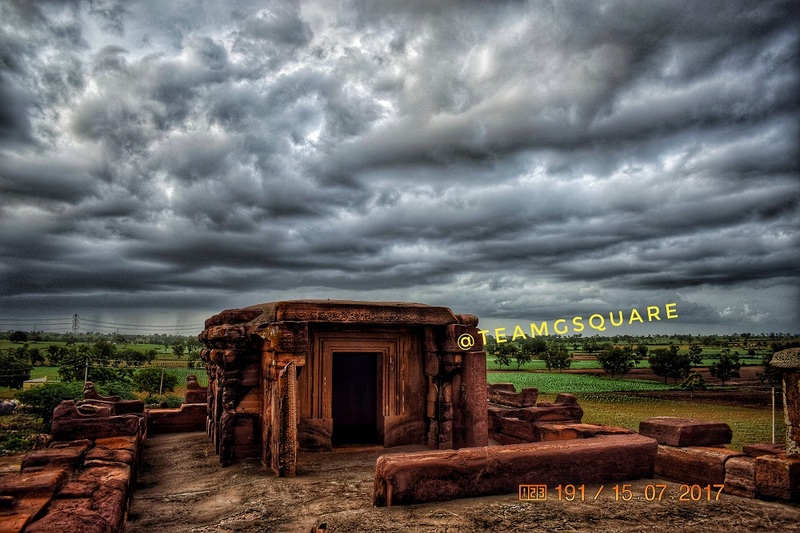 'Hallur' is a nondescript village located in the district of Bagalkot, off the Bagalkot - Kudala Sangama highway and can undoubtedly be considered as unusual and unique. 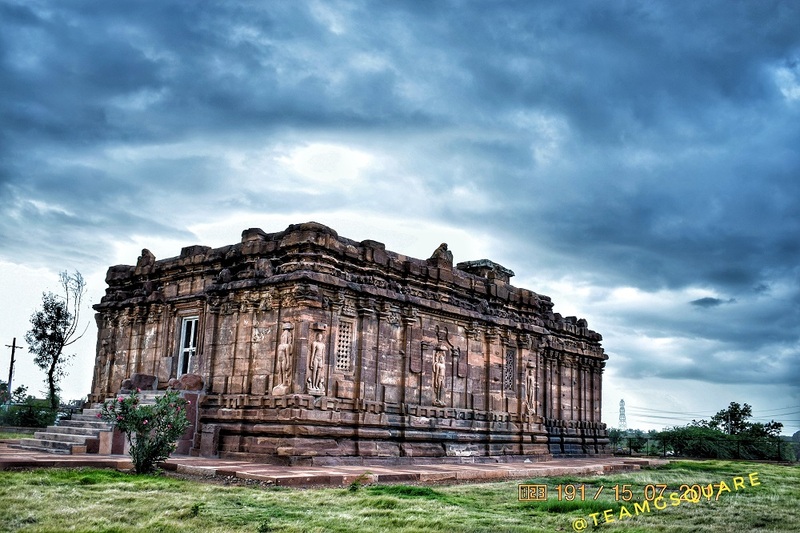 Bagalkot, the Badami Chalukyan heart land is home to numerous temples built by the Cholas and Rashtrakutas around the 8th and 9th centuries AD. During one of my visits to Bagalkot, I got an opportunity of visiting the ancient temples of Hallur town. It was fascinating! 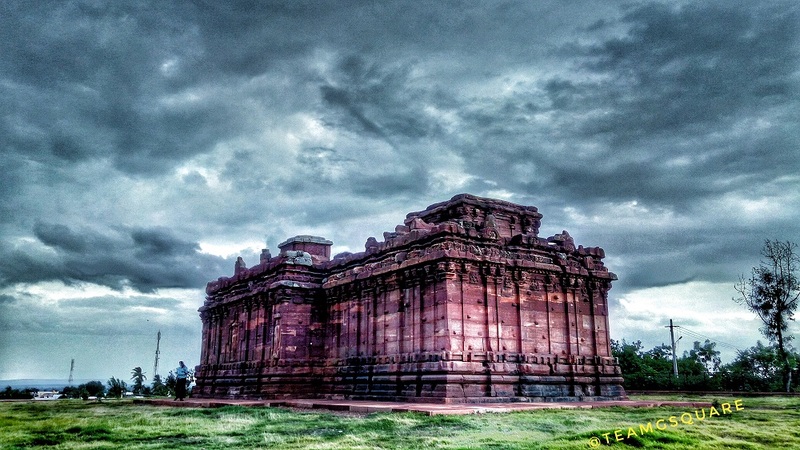 The two prominent historic temples among them are those dedicated to Lord Basaveshwara built in 8th century by the Cholas and a Jain temple (popularly called Melgudi Jaina temple) built in 9th century by the Rashtrakutas. Hallur is located about 18 km from Bagalkot. Reaching this place was an easy task and as we reached, both the temples were easily visible. We chose to visit the Melgudi Jaina temple at first which is located atop a small hillock, thus giving it the name Melgudi. 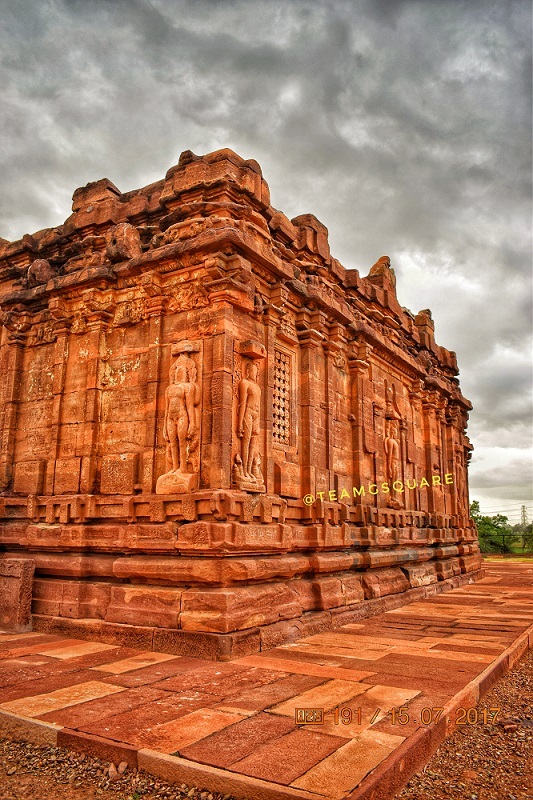 The temple is built on similar lines with the Meguti Temple at Aihole (7th century, Badami Chalukyas) with the only difference being that the navaranga here is a closed one. 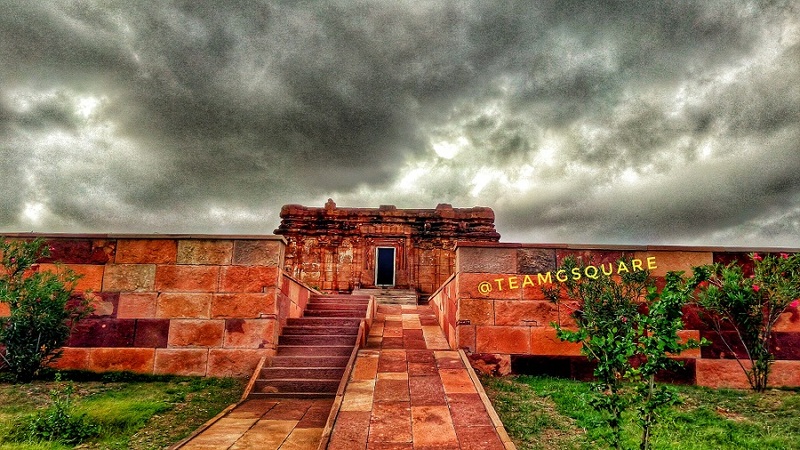 The Melgudi Jain temple was built around 870 AD during the reign of the most famous Rashtrakuta king, Amoghavarsha. 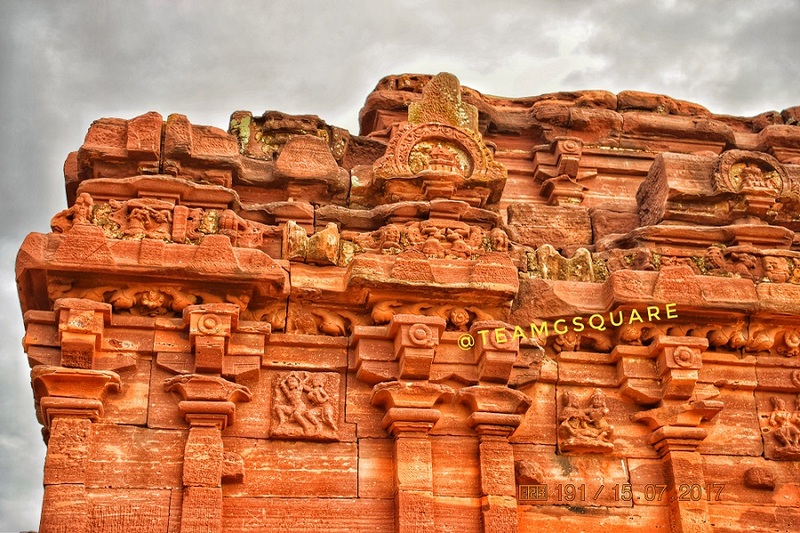 This beautiful sandstone temple consists of a garbhagriha, an antarala and a navaranga/sabhamandapa, with an interesting stone ladder leading to the first storey that housing a small garbhagriha. The garbhagriha is originally believed to have consisted of a murti of a Jaina Tirthankara. 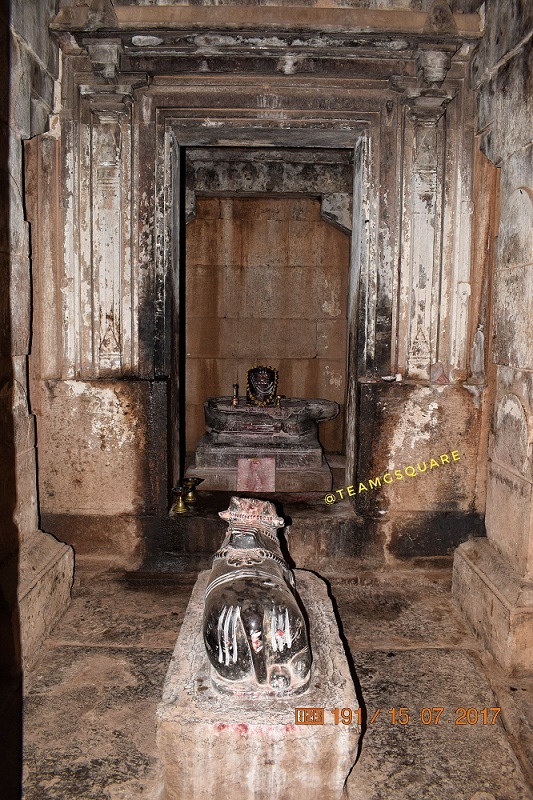 However the temple now enshrines a Shiva Linga and Nandi along with a damaged inscription at its entrance which probably carried details of the installation of the same. The temple having been dedicated originally to a Jaina Tirthankara even now houses a murti of the same which is kept in the sabhamandapa. 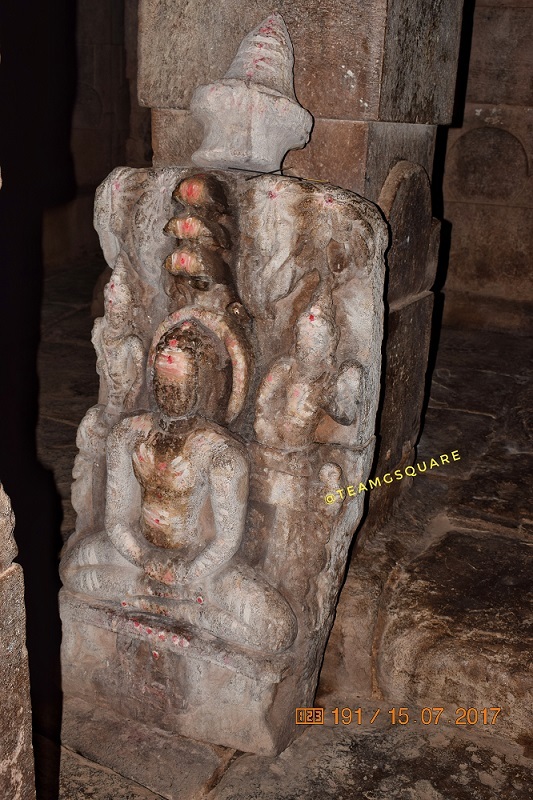 But with no details with regards to why and when the original Jain temple was converted into a Shiva temple, the temple's history still remains a mystery. However, the inscriptions may have carried information regarding the same, but it sadly remains damaged. I climbed the small stone ladder that opens to the first storey only to find an empty garbhagriha. Being awestruck witnessing this small gudi (temple), I could only imagine as to how grand it would have been back then, during its full glory. That said, I strongly believe that my imagination would any day fall short of its true glory. After coming back to reality, I got down the ladder and decided to explore the external features of this temple. There are a total of 8 life-size carvings of various Jaina Tirthankaras on the outer walls of the temple. 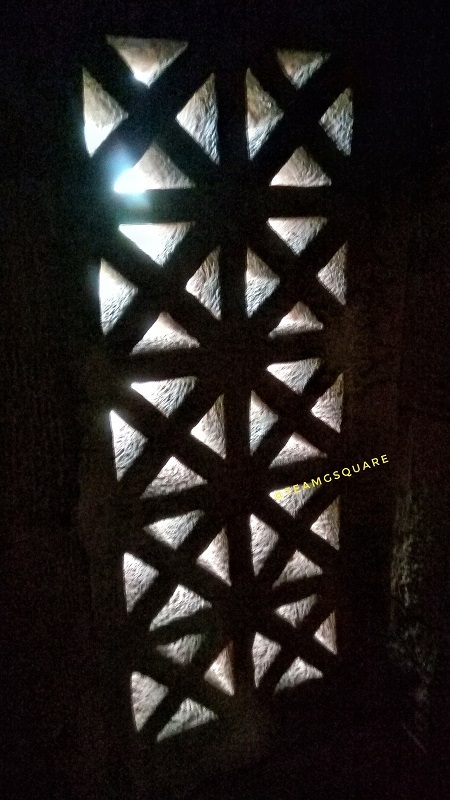 There are different kinds of Jalis (perforated stone windows) fixed in the outer walls. 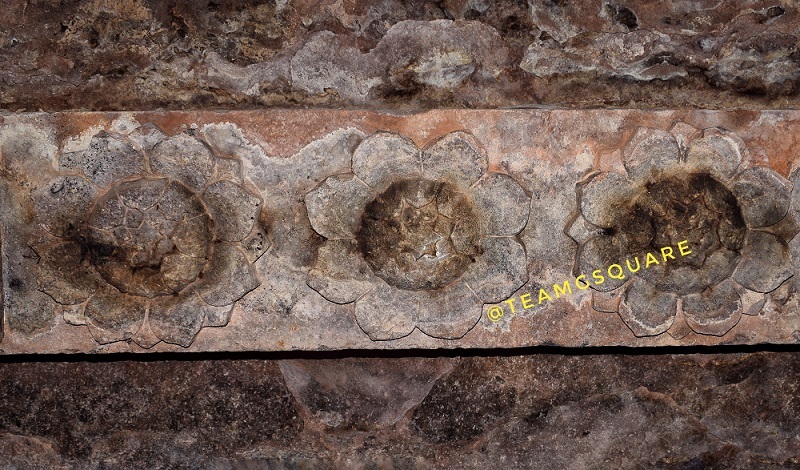 The details of the kutas (miniature shrine motifs), salas (oblong members with a wagon shaped roof), panjaras (shallow niches formed by pilasters) and makara toranas are unfinished. 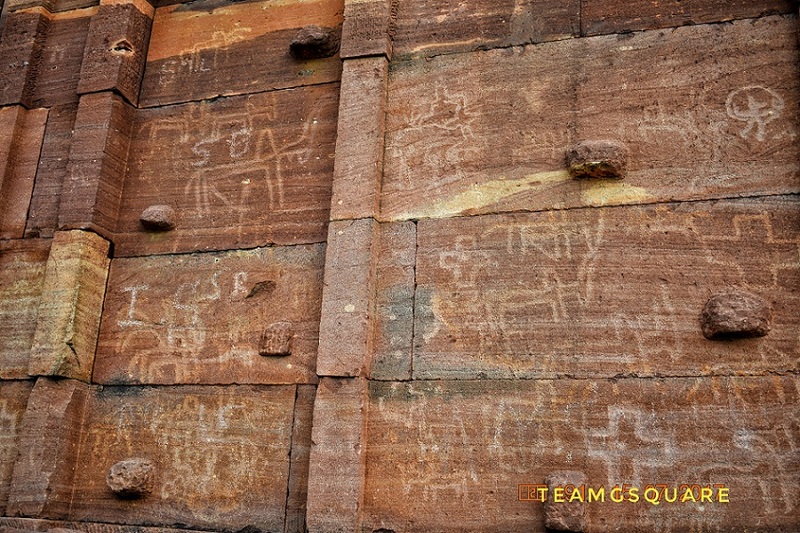 While closely observing the outer walls, I was dumbstruck to sight prehistoric kind of carvings on them! They were quite intriguing! Although I was able to identify many carvings such as those of the bulls, people and scenes of hunting, I have never witnessed something like this before and was unable to believe my eyes. The carvings here were pretty much similar to the ones at Sanganakallu. On further visual investigation as to whether these carvings belonged to the prehistoric period or not, I tried to trace the carving between two stones of the wall and found them to be discontinuous. Thus revealing that the carvings were made much before this temple was built. Sadly, a few insensitive idiots have tried to disfigure these carvings by their senseless graffiti. Thanks to god that some of these carvings have remained intact. I was unable to find much of literature/details about this temple. 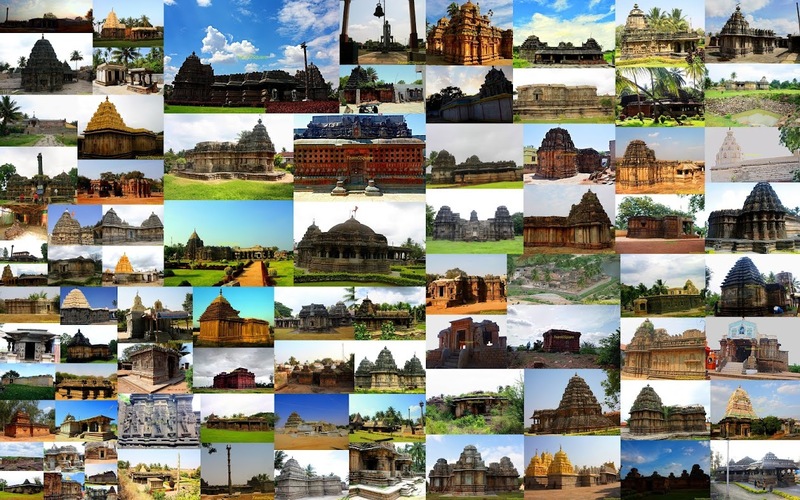 Once I was back in Bangalore from this trip, I re-looked at all the photographs taken by us during our previous visits to Badami, Pattadakal and Aihole. 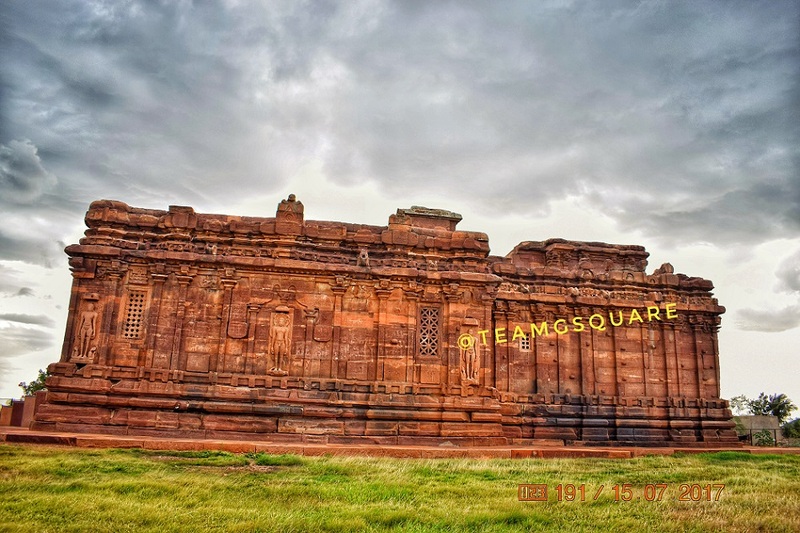 On careful observation and with a keen eye for detail, I found one of the pictures of Pattadakal having similar carvings of bulls and the only feeling I got was 'Wow'! Probably back then in October 2010, we were not versed with the prehistoric times and hence did not go ahead with the search for such carvings around with interest. 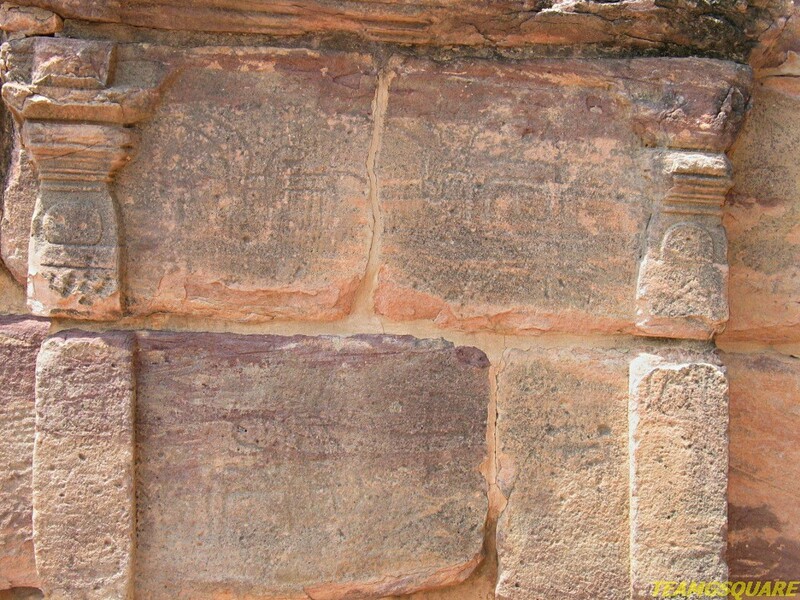 However, may be during our next visit to this place, we would end up finding more about these carvings and many such! 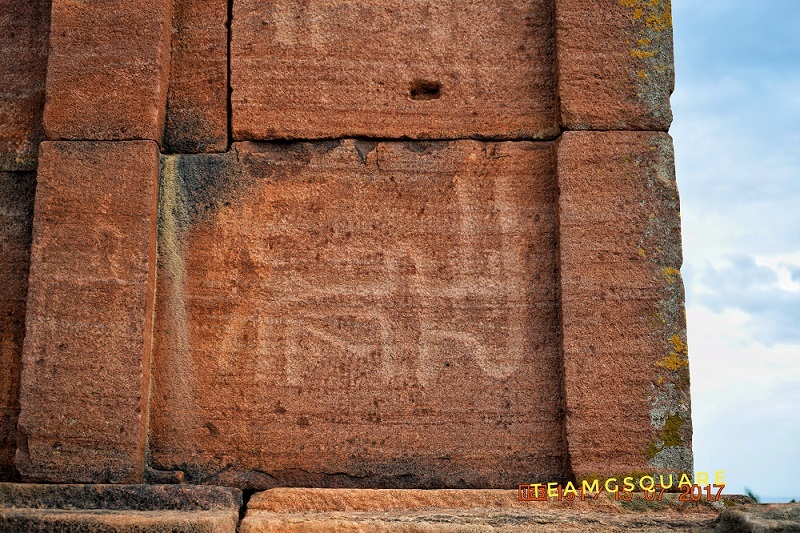 It is truly mysterious to have found such carvings on the temple walls and to further ascertain whether they are really prehistoric or not is very difficult at present. However the same can be achieved and confirmed by a thorough and proper investigation and documentation. Glad to know about this lovely temple. Those pictures are gorgeous. Thankyou Niranjan. Glad you enjoyed. Very nice. Visited this temple many times when I used to go to Bewoor, which is just after Hallur. Do visit other temples which are near Boda Nayakana Dinni, Sangapur etc. Incredible! The more we explore our ancient past, the more reasons we find to be fascinated and inspired by it. Also, I enjoy visiting such ancient temples that are less known to tourists. Seems, like you got some lonely time out there to observe the art work in great detail. Interesting it is to find similar stone art around the region. Thankyou Ajeya. True! There is so much more to explore! Its never ending. Not sure if a life time is enough! Your photos are absolutely gorgeous, and your descriptions are fascinating. I hope you are able to find more information about the carvings from that (and earlier) period. Wonderful temples. Thanks a lot for your informative post. Loved all pics.